In today’s daily life, for most people it would be unfathomable not to have the TV practically always on. But in Valgiano, there is no TV, and this reminded me of the summer holiday evenings during the 1960s… ‘70s… ‘80s… when we used to turn on the TV to see some special event like… the first man on the moon!! Instead, I remember with a bit more nostalgia the parlor games that everyone could take part in, young and old! One of them, perhaps my favorite, was: “If it were a…” where one person, in turn, would think of a place or a character and the others would try and discover what it was by asking “if it were a piece of furniture, what would it be? And the first person to guess would choose a new subject. So, let the game begin! I’m thinking of a name or a place: I) question: if it were a painter? An Impressionist like Sisley or Pissarro with their transparent, lively, natural colors 2) if it were a musical instrument? A harp for its delicate and extremely melodious sound 3) if it were a singer? Aznavour, Yves Montand, DeAndré who express feelings and emotions with harmony, elegance, poetry 4) if it were a famous character? Sandokan and Salgari’s Yanez, honest, clean, open, combative, tenacious 5) if it were a book? Jane Austen for her intelligent, ironic, refined, measured style 6) if it were music? Debussy, Chopin, Ravel, melodious, elegant, vivacious 7) if it were a food? Mixed stuffed vegetables served with warm chicken stock in a cup 8) if it were a wine? Palistorti… Valgiano… white … red. The wine gave me away. But maybe those who know Valgiano have understood that the examples I chose in my descriptions refer perhaps more the people who work at and for Valgiano and the spirit that unites them, rather than the place itself. Valgiano’s wine is worth the trip because the place is beautiful but different from traditional Tuscany with its hills, vineyards, olive groves and farmhouses. We are in the area called Lucchesia, reign of villas, and villas always cache a mystery. Valgiano hosts a refuge for bats. But if you want to know where it is, you have to discover it. And if you go there in the summer, no need to worry, there are no mosquitoes! I have been taking walks up to the Valgiano farm for years to let myself be amazed by its development and continuous transformations. I am observing, not working, for working is the task of young people. The farm is young, too. You can tell by its appearance and by the optimism in the air. The house garden, located in the shade, with its white flowers, perfumed bushes and espalier lemon trees, is large and made lively by the comings and goings of adults, children, dogs, bicycles, guests, residents, conferences, tea parties, food & wine tastings and birthday parties. It is a spontaneous way to get together. And work is done with the same naturalness, topped with a dash of vivacious creativity. The farm holding is in perpetual motion: making wine, oil, honey, collecting eggs… in a merry-go-round of grapes, barrels, olives, bee hives, chickens and sows grazing in the woods down by the stream where I often go to see how they root about. In the course of time, the garden and the countryside have gained a special character. I mean that they are in continuance with each other: the vineyards, the garden, the warehouse, the grass lawns and the cliffs are designed with a practical and aesthetical sense, in tune with the landscape. I look with a critical eye at the growth of a group of cypresses. And each time, I end up thinking that they were planted in the right spot: their shadow does not disturb the crops and the dark shape typical of cypress trees captures the view of the gorge that furrows through the slopes of the Preappennino Lucchese mountains, where the northern winds blow carrying big clouds, snowfalls and storms. In this valley there are no ancient villages, no bell towers or electricity posts. You can divine the beginning of a path among the trees. It is a small forest that limits the northern landscape of the estate and protects the farm’s water springs. Sometimes my walk continues up the hill, but I have the impression of still being on the farm, which gradually turns from agriculture to woods. And all is completely natural. Valgiano è una collina con cinque fattorie in cui una è quella che ci vivo io.. A Valgiano c’è un’aria pulita nella mia fattoria ci sono vari ettari di vigna. Ci sono pollai con tante galline che fanno tante uova buone e molto sane! Ci sono anche i maiali di Cinta Senese che sono come dei maiali tutti neri però con un tipo collare al collo che è bianco! Abbiamo anche avuto anni fa le mucche che però ora non prendiamo più… Ci sono i conigli che ogni tanto si fanno accoppiare! Poi ci sono i mie due cani: Oscar e Stella sono giocherelloni, mi diverto molto a giocare con loro, quando sono in giardino sento sempre un profumo di fiori. Uno dei miei momenti preferiti è quando c’è la vendemmia raccolgo tanta uva, oppure sto all’ombra a togliere i raspi dall’uva..! Dopo tanti giorni la vendemmia finisce allora,c’è la festa della vendemmia! Poi da poco c’è stata la festa del grano nel vigneto a “Cesari” anche se quest’anno ci abbiamo piantato il grano, comunque alla festa del grano si mangiava tutte le cose a base di grano di quel vigneto! Sometimes it happens that someone approaches me and asks: «Is this the Tenuta di Valgiano?» And my first instinct is always to selfishly answer «NO», irritated. «No, go away!» I’ve spent years trying to remember the road up to this place. Curves, signs, small country lanes going up hills, becoming increasingly narrow, forking off, ending abruptly. When you finally arrive, you feel like you have come through a door. And beyond that door is a microcosm teaming with spurs and with life, where the soil has a good smell and the houses look like they have sprung up out of the earth — planted, not built, moved by a natural impulse made of sun and photosynthesis. Like vines or wheat. Valgiano is harmony. It is a large and soft clock resting nestled on the hills. And all the people who live and work here are the mechanism that moves the hands, following a pace scanned by the rain, by the micro-climate, by the phases of the moon. I immerge myself in this scenario and enjoy my condition of guest, of hired help when I can, of drinking companion during the hot, easy nights, lying in a field watching the stars. Why on earth would I want to share all this? People arrive here attracted by the wine; a good wine, a very good wine. But the wine is just the outcome, the resulting expression of a balance made of people, of nature and of respect. And I’d like to ask the new arrivals who they are, how they got here and why. But instead I just break out in a huge smile and say: «Yes, it is. Welcome to Valgiano». And then, abruptly, a sense of envy comes over me, just like every time someone tells me they have never seen one of Sergio Leone’s films or never read a book by Jack London and sets out to do so for the very first time. Lucca, situata a Nord della Toscana, è compressa tra l’Appennino e il Mar Tirreno. Il clima ha una forte variabilità, a seconda che prevalga l’influenza appenninica oppure quella mediterranea. Per questo motivo, storicamente, vi è una forte presenza di vitigni complementari, che garantiscono una qualità costante. L’Appennino influenza il clima con abbondante piovosità, ben diffusa nell’arco dell’anno, e con escursione termica notturna; mentre il Tirreno regala una luce di grande intensità e una buona ventilazione. Queste condizioni fanno sì che le uve di Lucca raggiungano un’ottima maturazione – del colore e dei tannini – che producono vini di notevole morbidezza e intensità. Le aziende sono perlopiù situate in mezza collina, posizione che condividono con gli olivi,. I due versanti nei quali è suddivisa la denominazione sono ugualmente esposti a mezzogiorno e godono di piena insolazione. Nel versante Occidentale alcune zone specialmente intorno alla Valfreddana sono particolarmente vocate ai bianchi, mentre nel versante orientale prevalgono i rossi. Il Serchio divide i due versanti caratterizando climaticamnte tutta la piana di Lucca, umida e soggetta a brinate mentre i ripidi versanti delle colline proteggono i vigneti. La grande superficie boschiva dell’alta collina e dell’Appenino determinano il paesaggio, il verde intenso che non arretra nemmeno nelle più torride estati e la richezza di acque sorgive purissime lungo tutte le colline. In queste condizioni la Lucchesia è in grado di offrire alle vigne un periodo vegetativo molto lungo, gli inverni miti che sbocciano in precoci primavere, l’escursione termica presente ma moderata, la disponibilità idrica che consente una buona attività fotosintetica anche in piena estate, garantiscono la piena maturità delle uve anche con buone rese. I terreni derivano geologicamente dalle due conformazioni più tipicamente toscane, la marna calcarea di alberese e l’arenaria del macigno toscano. I terreni argillosi delle marne calcaree producono vini di potenza e longevità, mentre il macigno toscano – grazie alla sua ricchezza di minerali – apporta grandi doti di serbevolezza. In alcuni casi questi terreni sono così sapeintemente mescolati da creare dei “terroir” di grande prestigio. L’origine geologica piuttosto recente, perlopiù Paleocenica e Miocenica fa si che si tratti di terreni di buona fertilità capaci di esprimere notevole vigore e forza nelle viti, garanzia di adattamento alle annate estreme causate dalla contrapposizione degli Appenini e del Mediterraneo. Complessivamente la Lucchesia è caratterizzata dalla mitezza e dolcezza del clima, che si eprime in un paesaggio di grande dolcezza ed eleganza, i frutti pi tipici di questo paesaggio: l’olio ed il vino esprimono come uno specchio queste caratteristiche. I vini delle Colline Lucchesi hanno una tradizione che, sulla base di precisi documenti storici, possiamo collegare addirittura all’epoca romana e al medioevo. Secondo alcuni storici sembra che già prima dei Romani le colline della Lucchesia fossero coltivate dagli Etruschi che abitavano a Lucca e poi dai Liguri i quali conoscevano bene l’arte della viticoltura e olivicoltura. La ricchezza della zona è comunque messa in evidenza da documenti anteriori al Mille secondo i quali “le pendici dei colli a nord di Lucca erano nel secolo nono rivestite di vigne”. Nell’età dei Comuni l’industria del vino era già fiorente: infatti tra il tredicesimo e il quattordicesimo secolo la coltura della vite si era molto intensificata nel territorio delle colline lucchesi e grande era il consumo che si faceva del vino. Narrano le storie che nel 1334 furono portate a Lucca dalle vicine contrade oltre 168.000 barili di vino che doveva essere “chiaro, vermiglio, puro e franco” come quello che nel 1308 acquistò Cimelio il vinattiere. Nel 1392 un mercante, Antonio di Pace degli Orsi, scriveva alla compagnia Datini di Pisa che “è saporoso: quanto più ne beo, più m’aguzza l’appitito di bere”. Nel 1400 scriveva Sante Lanciero, sommelier di Papa Paolo III, che si trattava di vini di ottima qualità preparati con cura, soprattutto da offrire agli ospiti, come risultato di una propria scelta di vita e come prodotto della propria terra e della propria passione. In quegli stessi secoli l’attività in cui i lucchesi eccellono è la produzione della seta: nella sola città di Lucca vengono certificati oltre 2.000 telai in produzione, senza contare tutti quelli del contado. Ed è proprio la seta il veicolo della creazione del mito internazionale del “mercante” lucchese: tutte le maggiori famiglie aristocratiche della città vennero coinvolte nella produzione e nel commercio della seta, soprattutto verso i paesi del Nord Europa. I primogeniti vennero inviati ad aprire “compagnie della seta” in città come Lione, Bruges, Londra, Amsterdam e Amburgo. Progressivamente, insieme ai tessuti di seta, i mercanti lucchesi iniziarono a trasportare verso il nord anche il loro vino e l’olio di cui andavano tanto orgogliosi: storicamente fu questa la prima volta che il vino lucchese si affacciò sui mercati internazionali. Ma a metà del 500, per varie ragioni – non ultima la scoperta dell’America, questo sistema mercantile entrò in crisi. Le “compagnie della seta” all’estero vennero chiuse, e le famiglie aristocratiche lucchesi decisero di investire gli enormi ricavi realizzati con la seta in agricoltura. Nasce in quei decenni il sistema lucchese delle “ville-fattorie”: i Buonvisi, gli Arnolfini, i Guinigi, i Cenami, i Mansi (solo per citare i nomi di alcune delle più importanti famiglie lucchesi) faranno a gara per realizzare sulle colline che circondano Lucca le ville di campagna più belle, applicando all’agricoltura – in particolare all’olio e al vino – le tecniche agronomiche più avanzate per l’epoca. Scrive lo storico Renzo Sabbatini che “per meglio commercializzare la sua produzione di vino, nel 1615 la famiglia Guinigi apriva due negozi per la vendita di vino: uno in Pizzorna – dove quotidianamente lavoravano decine di carbonari, ed uno a Viareggio”. Nasce sicuramente in quel periodo il forte orientamento degli abitanti della Lucchesìa a consumare il vino locale. Nei primissimi anni del 1800, Lucca torna a respirare un’aria internazionale: l’arrivo delle truppe francesi, e l’insediamento in città di Elisa Bonaparte e della sua corte di dignitari, influenzerà – in parte – anche i destini della viticoltura lucchese. Viene redatto il “nuovo catasto” del territorio lucchese. Generali e diplomatici dell’esercito napoleonico (Grabaw, Meuron) acquisteranno alcune delle “ville-fattoria”, e i vitigni cosiddetti “francesi” faranno per la prima volta la loro apparizione sulle colline della Lucchesìa. La DOC Colline Lucchesi Rosso, fra le primissime in Toscana, risale al 1968. Essa veniva a premiare e a riconoscere la tradizione e l’impegno con cui le famiglie Lucchesi producevano vino intorno a Lucca, in un ambiente dalle stesse mantenuto integro e incontaminato. L’ospitalità, la gentilezza e il carattere dei Lucchesi hanno fatto del vino un messaggero importante da inviare nel mondo, un messaggero capace di rappresentarne in modo perfetto il carattere. Come altri vitigni della Toscana il vitigno Sangiovese, chiamato dai lucchesi “Sangioveto”, è stato abbinato da tempo ai vari Canaiolo, Ciliegiolo e Colorino, Merlot, Syrah, nonché ad una piccola parte di Moscati e Aleatici. Nel 1985 veniva riconosciuta la DOC Colline Lucchesi Bianco: accanto al tradizionale Trebbiano Toscano, troviamo il Vermentino, il Greco e il Grechetto, la Malvasia del Chianti con l’aggiunta di Chardonnay e Sauvignon nonché di una piccola parte di vitigni a bacca bianca locali. Oggi, nella meravigliosa realtà delle colline lucchesi, oltre ai tradizionali rossi e bianchi, si producono alcuni vini fermentati in purezza da singoli vitigni Sangiovese lucchese e Merlot lucchese, oltre al Vermentino lucchese e Sauvignon lucchese. A questi si aggiunge il Vin Santo, che le aziende di Lucca hanno sempre prodotto e ne facevano un vanto da offrire agli amici, oggi anch’esso è DOC e anche se prodotto in limitate quantità viene a comporre un ventaglio di prodotti di qualità che danno l’immagine di un ambiente, di una tradizione di valori a cui i viticoltori lucchesi non intendono rinunciare. Abundant rainfall during the winter fills up the hydric tanks. Spring arrived with a summery April, one got quickly accustomed to short sleeves until the end of the month when temperatures fell drastically. The season proceeded behaving in this up and down manner under a clean sky. The rains fall down in June keeping us busy in the mildew protection, the high rainfalls during the blossom limit production of the vines for the Tenuta di Valgiano. Fewer problems at Palistorti vineyard, being late in season. The rains stopped on June 26th , on June 28th the last biodynamic spaying treatment , 501 once in April and twice in May. July and August were clear and pure, sky was limpid, not one drop of water. Tenuta di Valgiano vines’ grapes mature rapidly, and are all ( including Sangiovese) picked before September 29th. A very good vintage , wines are full of fruit , smooth and round. Low yeld for the Tenuta, around 0,5 kg / plant whereas Palistorti an average of 1kg /plant. The soils are saturated with the abundant 2014 rainfall. Animals and humans depressed for the lack of Sun. But when it finally shines at the end of March through the month of April , it is welcome and one struggles to believe that the climate turns hot and dry; no wonder: Jupiter has entered Leo, a fire sign and as the year develops it will show its strong influence, as it happened in 2003. The vintage is regular, May and June are significantly humid but we manage to keep oidium under control: 501 has been sprayed five times between April and June, vines are magnificent and in full shape. They resist heat and drought although maturation is slightly delayed. Grapes are harvested from September 5th to October 1st , vintage without issues , simply a lot of work.We can say that the 2015 rates from ‘good’to ‘very good’: wines are concentrated, rich and firm with an exiting evolution. Good yield : from 0,8 to 1,4 Kg / plant. Da Ottobre 2013 ad Aprile 2014, la pioggia ha dato solo tre settimane di tregua a Dicembre. Da fine Aprile, caldo torrido, quasi violento e le terre argillose cotte come terracotta. Nonostante il caldo, l’aria era umida a causa delle abbondanti precipitazioni invernali. Da fine Giugno sono riprese abbondanti precipitazioni con temperature decisamente basse. Luglio e Agosto freddi e umidi, grande pressione delle malattie e, a causa delle basse temperature un elevata presenza di Drosophila suzukii, un moscerino devastante per l’uva specialmente in prossimità della raccolta. A Settembre il tempo migliorava sensibilmente terminando con uno slancio di calore e sereno. In sintesi, il bianco ha un acidità molto marcata e presente, basso grado alcolico ma discreto volume al palato, quantità in linea con le scorse annate. Palistorti rosso ne abbiamo prodotto la metà, sia a causa della drosophila che, della rigorosa selezione. Vino fine e fresco simile al 2010. Per il Tenuta di Valgiano, un ulteriore prova che un grande terroir riesce a compensare gli estremi con naturalezza. Quantità minore del 5%, vino molto fine, con profondità e grande equilibrio. I vini stanno terminando la malolattica e si profilano delicati ma profondi. A rainy and cold winter, at least a decent supply of water was secured, after the draught of 2012.
during a spring which is characterised by low temperatures and abundant rainfall, a common denominator for the last five years. Finally June and July carried along the real summer, vines were slow to flower, towards the beginning of June, then, the vegetation catched up rapidly. Many days went over 30 degrees, though it was never torrid, with remarkable nocturnal thermic excursion, down to 15 degrees. Mid September brought abundant showers, separating remarkably the precocious grapes – ripe, picked and fermented in the still hot summer climate – from the late ripening varieties slowed down by a precocious fresh autumn. Wines are fresh with clear structure, characteristics unseen since the end of the Nineties. Spring slowly turned into a “summery” April and a definitely hot and dry year. Flowers began to blossom on June 14th, aided by sunny and slightly humid weather. A brief cooling of temperatures in July and then on to a sweltering second half of August – a period enveloped by the breath of the desert, a hot and extremely dry sirocco wind. Precocious varieties suddenly became ripe and had to be picked fast: On September 5th, 130 ml of rain are welcome and slow down Nature’s rithm. An abundant harvest finished in less than 4 weeks; three treatments based on 501 (silica) helped the vines withstand the stress from the heat. Impressive colours, very ripe tannins and, luckily, good acidity. Mellow, dense, enveloping wines. Yields between 0.7 and 1.8 kg. Already the year 2008 had changed our habits with a rainy spring. May 2009 had been equally rainy. But the year 2010 has beaten all records. Somehow, we managed ok till the end being able to take all the grapes into the cellar. And, as it happened in 2005, the wine improves in the cellar and turns out superior to our expectations. The benefits from biodynamic agriculture, properly applied, are more and more evident and they fill with enthusiasm the people who use it.This method has unquestionable scientific basis, at least for those that don’t refuse to see them, that stimulate the capacity of observation and bring long term great benefits; to the vineyard, to the wine, to the environment and to people’s pleasure and health. The cold winter is back again also with a few light snow falls. The beginning of spring seems promising even though budding starts only at the end of March, the season is good. But it does not last, it starts raining during the first week in May almost without stopping till the 19th of June where a devastating thunder storm takes place: 180mm of water in a few hours. The dam of the river Sana that was built in the 19th century was totally washed away. The mildew spreads, but luckily the experience that we gained in 2008 helped us to deal with the emergency. We treated whenever there was a day without rain, regardless of the soil. Flowering begins on the 1st of May, with the early varieties flowering under strong rain. July is hot, no rain, but the humidity is very high. On the 26th the grapes start to change colour thanks to the heat, but the weather becomes cold again and the ripening slows down. August and September are quite cold and again it starts raining without interruption. It seems as if the grapes have really had enough, however the alcoholic degree does not rise, in some plots it is low, in some medium and in some high, but they haven’t moved since the beginning of September. An overall difficult year, cold and wet, despite all this, gentle wines with a good smell that give a precocious pleasure. Yields between 0.5 and 1.3 kg per plant. Winter was warm and it preceded a hot and anticipated spring, the temperatures were way above the average and in February the soil was already over 10 °C. Therefore there was an anticipated budburst towards mid March also on clay soil, that is known for being cold and slow. On the 30th of April there was a very hard hail storm that devastated 70% of our vines. If there had already been grapes on the plants we would have not produced any wine! In May and in the first half of June there was lots of rain and during flowering the minimum temperatures were below the average. This created lots of problems to the vines that were already weakened by hail. For the first time in 4 years we had to thin out the bunches to not over weigh the weak plants. Finally July brought good temperatures and dry weather. Ripening began the 6th of July and it proceeds rapidly during a sunny and dry August. The low night temperatures helped the formation of aromatic components in the splendidly ripe grapes. We had an early harvest: the first Sangiovese was picked the 28th of August, a record! The last Sangiovese within the end of September. The wines are concentrated but have great harmony, a great year. Yields between 0,4 and 1 kg per plant. Another cold winter and another, even heavier, snowfall at the end of February. The vines began revive at the equinox on 20 March, when ground temperatures rose above 10°C. The Merlot began to germinate, as first, on 4 April. A sunny, dry and warm May fostered early flowering on the 26th. With the exception of a heavy thunderstorm in the middle of the month, June weather was also good and the dry climate, combined with availability of water, led to excellent setting. In July, however, there were record rainfalls of 117 mm and temperatures well below the seasonal average. The consequent lush growth slowed down lignification and ripening and encouraged fungus and insects. A difficult harvest was expected and it was saved only by speed and the exceptional health of the vineyards. Once again, the selection of grapes on the conveyors proved to be essential. 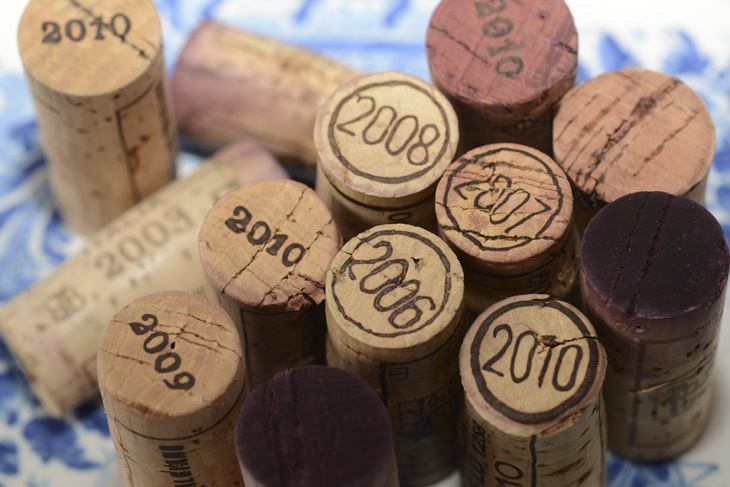 Although an average year, the wines have good body and excellent aroma. Yield was from 0.6 to 1.6 kg per vine. A severe, very wet winter and, for the first time since 1985, 40 cm of snow in three days. Until the middle of April temperatures were never higher than 10°C. Germination began with the Sangiovese on 2 April, but it took the whole month to be completed, fortunately without any freezing conditions to cause damage. May emphasised the slow progress of the year with temperatures 3-4 degrees below the average for the season. Flowering began on 1 June and was stimulated throughout the month by TENUTA DI VALGIANO sunny weather, mild temperatures and a few days of rain, which led to extraordinary fruit setting. June, July and August temperatures were also below average and slowed down veraison; this process was still incomplete for all varieties on 30 August. A very hot and sunny September, backed up with one or two applications of “501”, allowed all the grapes to ripen and, at last, harvesting began with the Merlot on 13 September. The first Sangiovese was harvested on 21 September, the Syrah between the 23rd and 25th, and, lastly, the remainder of the Sangiovese on 7 October, just in time before the permanent break in the weather on the 10th. A great year for aromas with good acidity and a fine, full body. A year to be cellared! Yield was between 0.6 and 1.3 kg.